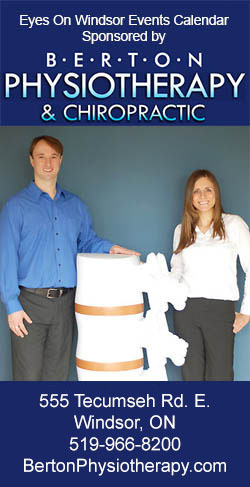 Posted on December 4, 2014 by Eric Bonnici wrote in Entertainment News. It has 1 Comment. On December 2, 2014, country music award winner Kira Isabella rolled into Windsor aboard the Canadian Pacific Railway Holiday Train. 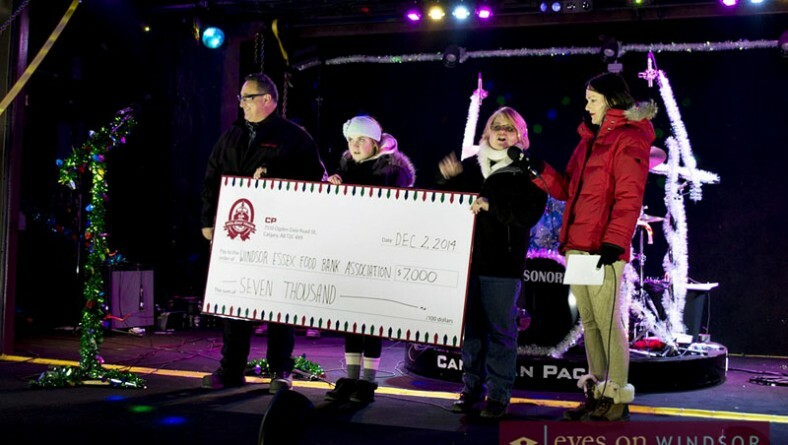 Each year the CP Holiday Train travels across Canada and the U.S.A. making stops along the way to raise awareness about hunger and support area food banks at each location. 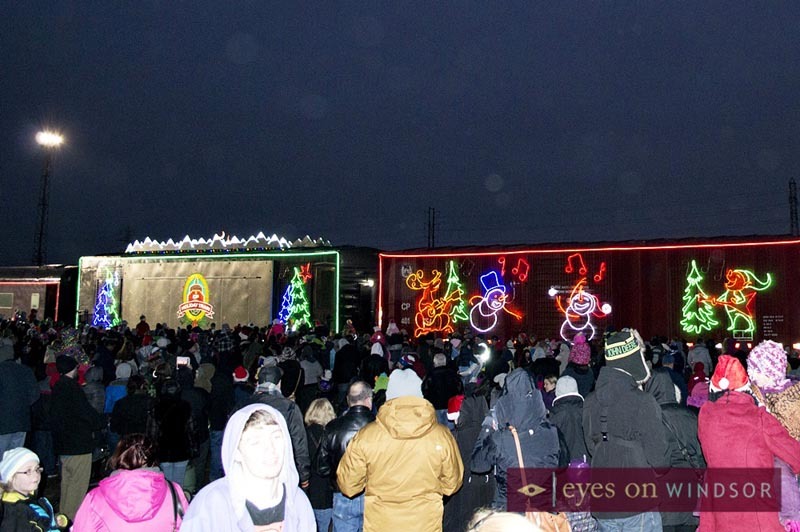 In Windsor Essex the Holiday Train supports local food banks through the Windsor Essex Food Bank Association. The festively decorated train spread holiday cheer featuring over a dozen box cars covered in lights and decorations. 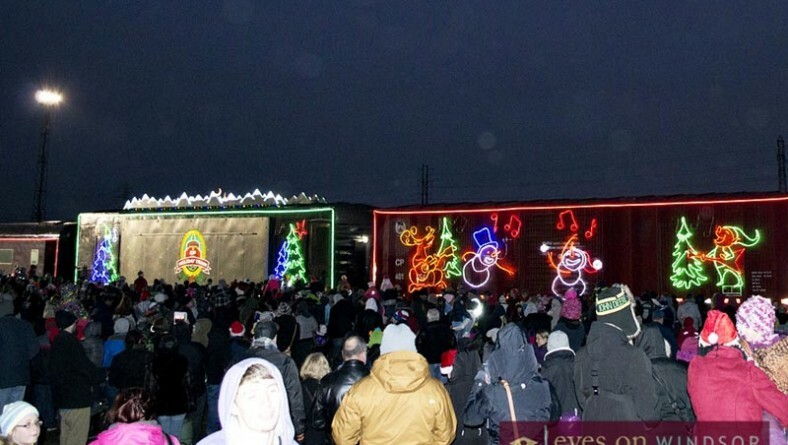 The CP Holiday Train arrived in Windsor at the CP Rail Yard located near Janette Ave. and Erie Street W. late in the afternoon. At 5:30pm one of the train’s box cars transformed into a stage and the crowd enjoyed a live performance by Kira Isabella, winner of the Canadian County Music Award – 2013 Female Artist of the Year. 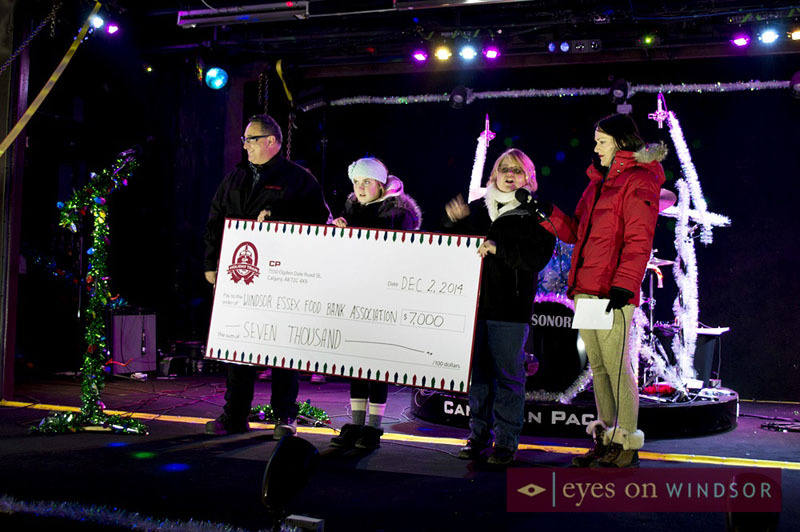 At the beginning of the show CP Railway presented a check for $7000 to the Windsor Essex Area Food Bank Association. The check was accepted by WEAFB representative Linda Davidson. In addition, this years record crowd, estimated at about 2000 people, made cash and non-perishable food item dontations. The Unemployment Help Centre was on hand with their vans to help collect the items. During Kira Isabella’s show the band performed holiday favourites like, “I’ll Be Dreaming of a White Christmas,” and she delighted the crowd with her own brand of country music. 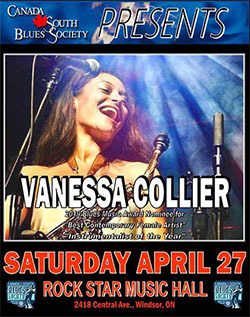 Fresh off her Shake It Tour, with supporting act Autumn Hill, Isabella performed hits from her new album Caffeine & Big Dreams. Windsor families danced and sang along with the band. The crowd erupted when Santa Claus joined the band on stage for their finale! 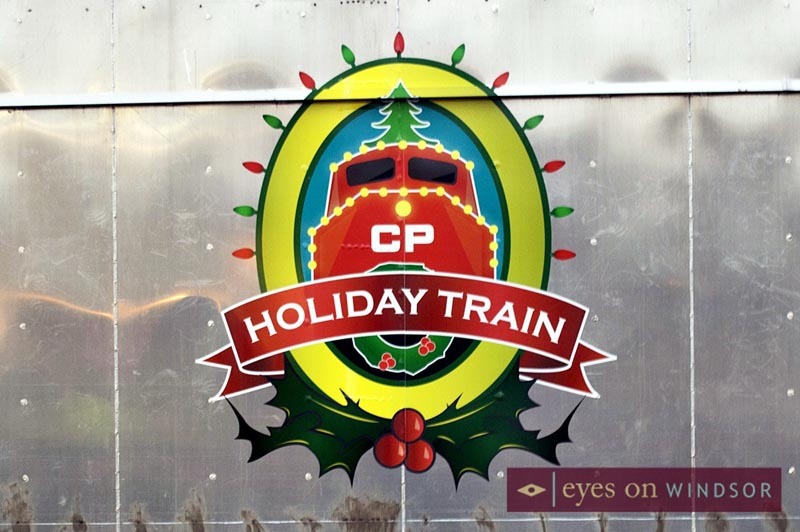 The CP Holiday Train left Windsor and chugged along the tracks towards it’s next stop in Illinois. 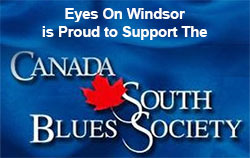 Proceeds from the event will be distributed to over a dozen local food banks by the Windsor Essex Food Bank Association. Since 1999, the Holiday Train has raised over $9 million and almost 4 million pounds of food for needy families! 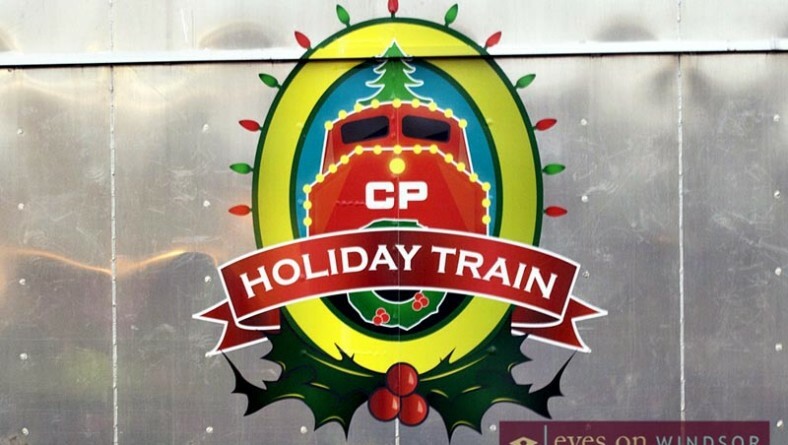 Updated: The 2015 CP Holiday Train returns to Windsor on Wednesday, December 2nd. Pretty cool to see last night.